The film "Blackfish" is shocking, and traumatizing. And it should be mandatory viewing. The documentary opens with former SeaWorld orca trainers describing how they got their job at the park. Apparently, it is not as difficult to become a trainer as one might think. While mesmeric music plays in the background, and orcas swim through sky blue Seaworld waters, the former SeaWorld trainers remember meeting their first orcas. The creatures, they reminisce, were humongous, inspiring, and beautiful. While working at SeaWorld, the trainers formed relationships with the animals (for some of them, this is the reason they stayed as long as they did.) The information that comes after this affectionate introduction is unimaginably horrific. Among the tragic fatalities explored is the death of top SeaWorld orca trainer Dawn Brancheau, who died in 2010 after the orca Tilikum pulled her into the water. Many of the interviewees had known Dawn personally, and had great respect for her. There is one part of the film that I dislike, and that is the reverence toward Dawn Brancheau. Dawn's job, her livelihood, was keeping these animals in unspeakable conditions, causing unfathomable psychological and emotional torture. Dawn proudly and vocally profited from these animals' suffering. She was either ignorant of the horrific agony caused to the captive orcas, or simply ignored it. But Dawn was one of the top trainers at Seaworld... so could she really have been so ignorant? Did she think that kidnapping and imprisoning the orcas was nurturing? When the baby calfs were ripped from their mother's side, and the mother fell into a visible, catatonic depression, emitting screeching cries day and night, trying to communicate with her child... How exactly did Dawn interpret that? "In addition to her work as a trainer, Dawn also became the face of SeaWorld. Over the years, she appeared on billboards around the world, a large mural at the Orlando International Airport, on a Budweiser beer bottle, and on many other promotional materials. She also appeared live on House Hunters, Wheel of Fortune, and FETCH! with Ruff Ruffman. Dawn was always willing to share her knowledge and love of the orcas with new audiences." I just wonder why "Blackfish" commends the memory of a woman who was, literally, the face of orca torture. The former SeaWorld trainers interviewed were saddened by Dawn's death; so by the same hand, they're protesting orca imprisonment, while commemorating the warden? "Blackfish" beautifies Dawn Brancheau, just as SeaWorld glamorizes the lives of the captive orcas. These two things only slightly dampened the otherwise very strong film. Some of the messages in "Blackfish" not only apply to the orcas in captivity, but are more universal; such as how marketing can completely indoctrinate us. And especially the idea that people believe what they want to believe, and that it's always easier to turn your head away, than to take action. The orcas at SeaWorld were and are subjected to heinous physical and emotional torture. The former trainers in the film talk about how on some level, at the time of their SeaWorld employment, they understood what was happening. But externally, consciously, they ignored the warning signs. It is all remindful of the old wisdom, that if one is not part of the solution, than they are part of the problem. 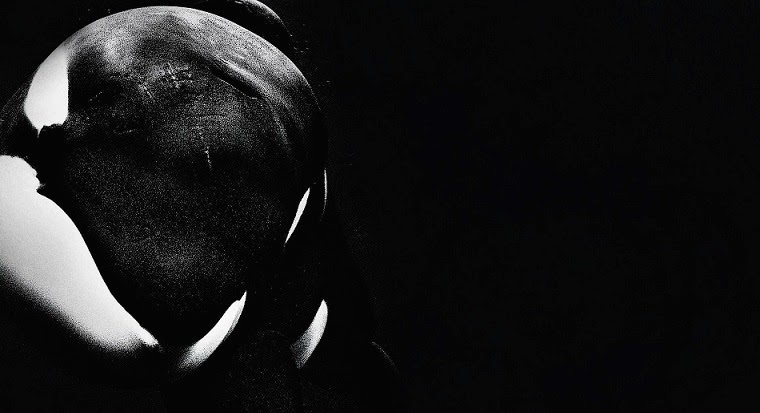 "Blackfish" is a sensational documentary, magnificently enunciated and skillfully crafted. It is also one of the most horrific films I have ever seen. Within the current rating system, there is no question that "Blackfish" should have an NC-17 rating. And yet this is a film that should be mandatory viewing in schools. Everyone needs too see this film, especially young people. It is a tough movie to watch, and so perhaps appropriately, it is also an extraordinarily important one.